Much has been said about micromanaging these days. Micromanagers seem to be hated by their subordinates and are considered the "helicopter parents" of the corporate world. The implementation of a sales team location tracking system might seem like a symptom of micromanagement. 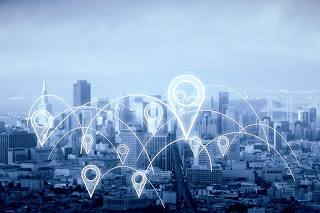 It is however far from that, since sales team location tracking software provide tools beyond GPS monitoring that can be instrumental in optimizing the work of sales reps, as well as streamlining communications between reps and supervisors. The above capabilities of a sales team location tracking app end up translating into one benefit that can dramatically boost sales and, therefore, outside sales rep commission: Increased customer-facing time. VisitEye offers a straightforward sales team location tracking solution that is easy to implement and use, with no need for IT department assistance. It provides a mobile app for sales reps as well as a browser-based office app where managers can visually monitor which customers are being visited and generate activity and timing reports. See for yourself how VisitEye can help you stay on top of your outside sales team activities, without looking like a micromanager: Learn more at www.visiteye.com.